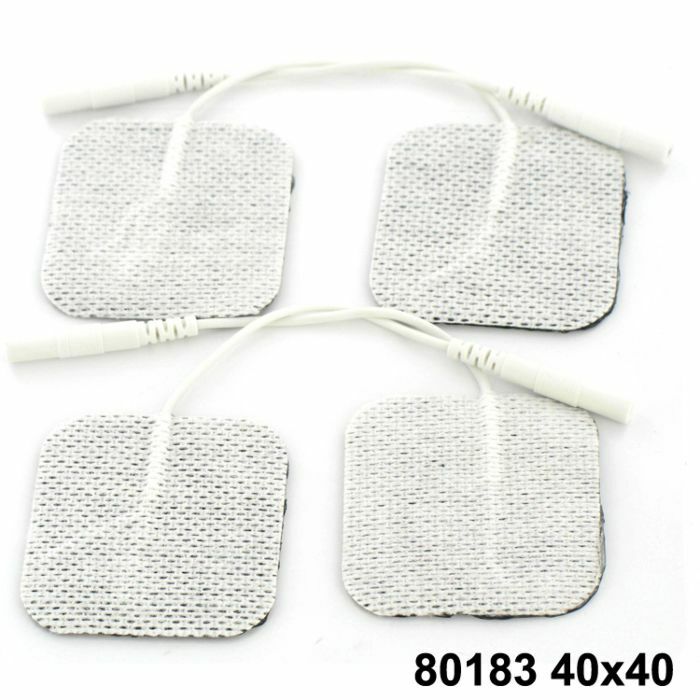 Cheap electrodes can give you 'hot' spots or even 'nip' you so only buy the best! Have no fear because our Skin Electrodes have carbon wire - this means that the current is dispersed evenly over the electrode with no interference or 'hot' spots. By using carbon wire you can be assured that the current is delivered more effectively to the muscle for a more effective treatment. Featuring a long lasting adhesive, our electrodes are fully reusable. Make sure you keep the plastic sheet the electrodes are initially stuck to and store them in a plastic bag to maintain the moisture. These re-usable self-adhesive TENS electrodes may be rejuvenated by rubbing a little tap water into the gel surface. Our self-adhesive skin electrodes are suitable for all TENS, STIM, FES and EMG applications.